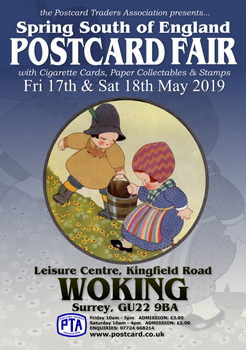 Although principally postcards the fair also features Cigarette Cards, Paper Collectables (Ephemera) and Stamps. There is no 'early entry' available for this event. 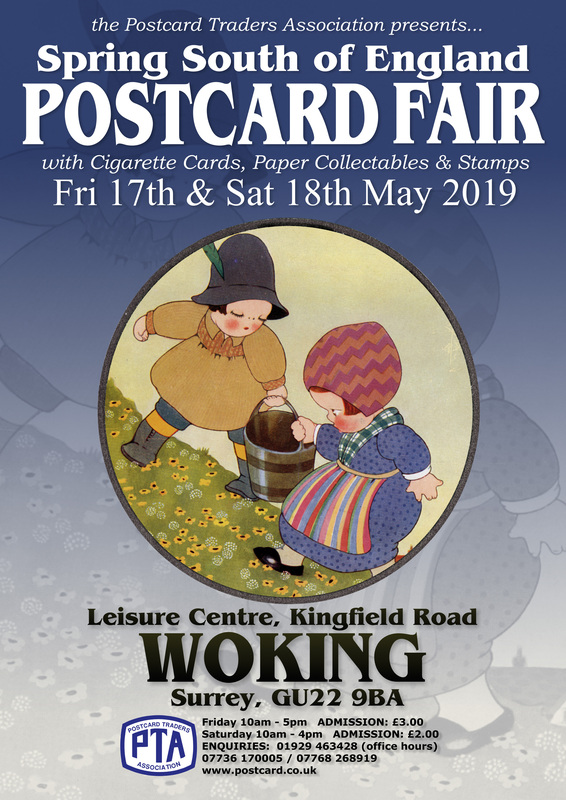 The Woking Postcard Fairs are open for booking to both members and non-members of the PTA (Postcard Traders Association) though members can book tables at a discounted rate. Deduct 50% for bookings paid in advance.